We can’t have heaven crammed. God likes to ask us questions, because they reveal our heart. It also put us on proper ground before God, because He has every right to question us and we owe Him answers. Anger is not always or necessarily sinful, but it has such a tendency to run wild that whenever it displays itself, we should be quick to question its character, with this inquiry, “Do you do well to be angry?” It may be that we can answer, “Yes.” Very frequently anger is the madman’s firebrand, but sometimes it is Elijah’s fire from heaven. We do well when we are angry with sin, because of the wrong that it commits against our good and gracious God; or with ourselves because we remain so foolish after so much divine instruction; or with others when the sole cause of anger is the evil that they do. He who is not angry at transgression becomes a partaker in it. Sin is a loathsome and hateful thing, and no renewed heart can patiently endure it. God himself is angry with the wicked every day, and it is written in His Word, “O you who love the LORD, hate evil” (Psalm 97:10). 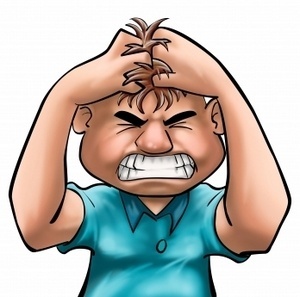 Far more frequently it is to be feared that our anger is not commendable or even justifiable, and then we must answer, “No.” Why should we be fretful with children, passionate with servants, and wrathful with companions? Is such anger honorable to our Christian profession or glorifying to God? Is it not the old evil heart seeking to gain dominion, and should we not resist it with all the might of our newborn nature? 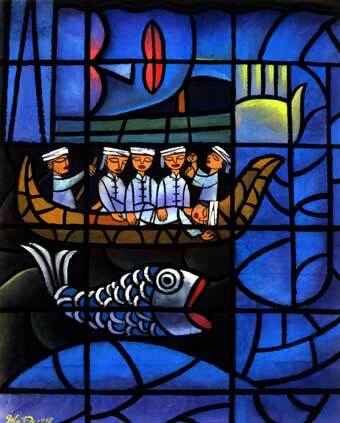 Jonah faces God’s freedom — Henri Lindegaard, 2003. 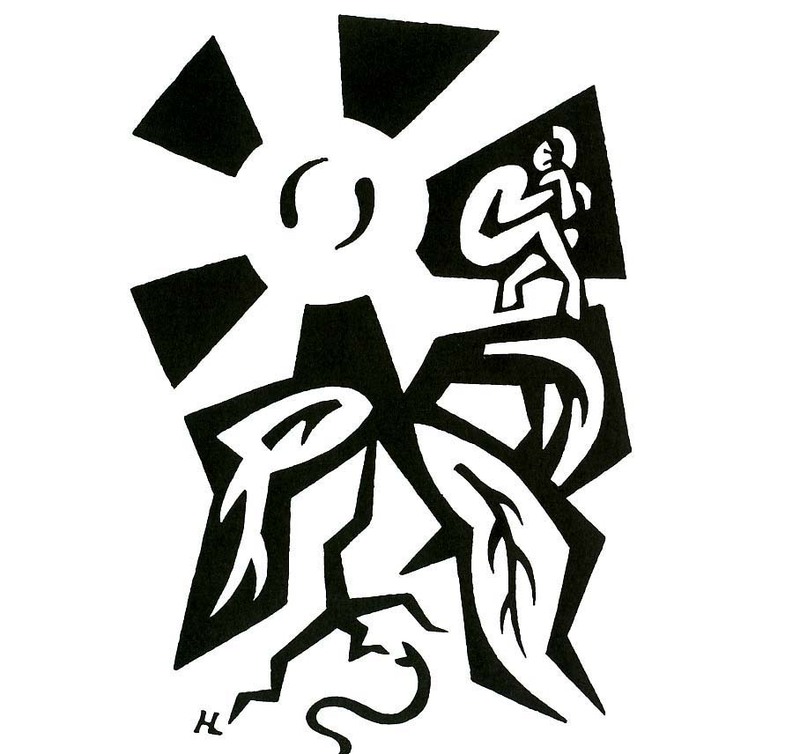 HERE is “Wonderful, Merciful Savior” by Selah. This is one of those songs that always brings tears to my eyes — that the Lord would be so wonderful, and so merciful, to us! Oh, most wonderful, merciful God! and confess our sins, and turn to you. 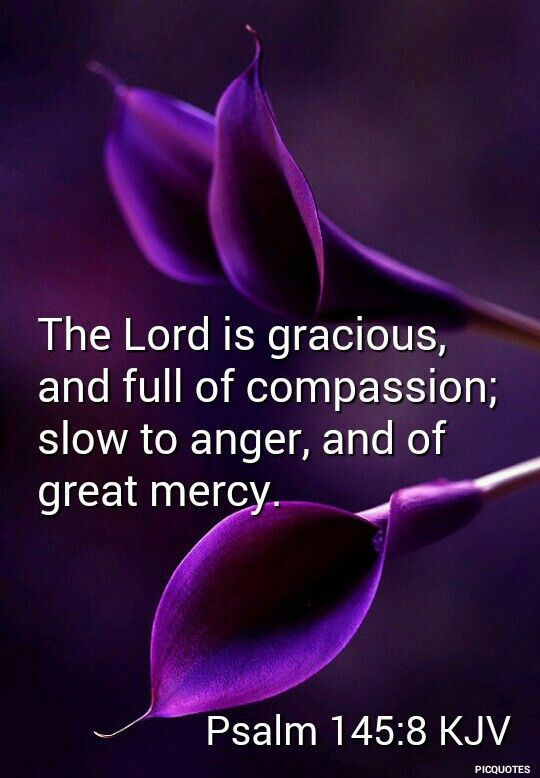 slow to anger and filled with unfailing love. and renew our commitment to serve you. who made the sea and the dry land. eager to see your grace working even through us. We pray these things in the name of the One who is greater than Jonah, the One whose name is high and lifted up, above every other name, even Jesus Christ, our Lord. Amen. The Journey with Jonah is one of my favorite books! Written by Madeleine L’Engle (who won the Newberry Award in 1963 for A Wrinkle in Time–another one of my favorite books! ), this delightful retelling of the Jonah story is actually a play. Jonah is the only human, and he is accompanied by many animals who engage the crabby prophet in conversation about his choices. 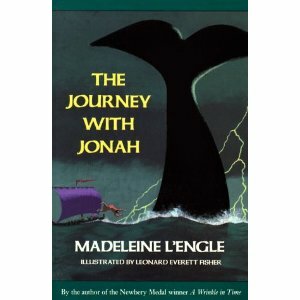 L’Engle’s amusing characters and their insightful thoughts make this wonderful story of Jonah even more engaging! It is also a treat to actually produce! When I lived in South Korea I directed it for our congregation. Costumes were so much simple fun: The rat family came with little ears glued on headbands and long tails. The whale wore a gray Members Only leather jacket. The blue jay was loaded down with costume jewelry. You get the idea. So now–do yourself a favor and find the book for your own enjoyment! 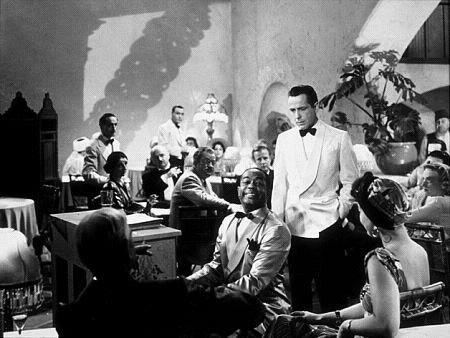 “Play it again, Sam” is a misquotation from the 1942 movie Casablanca. 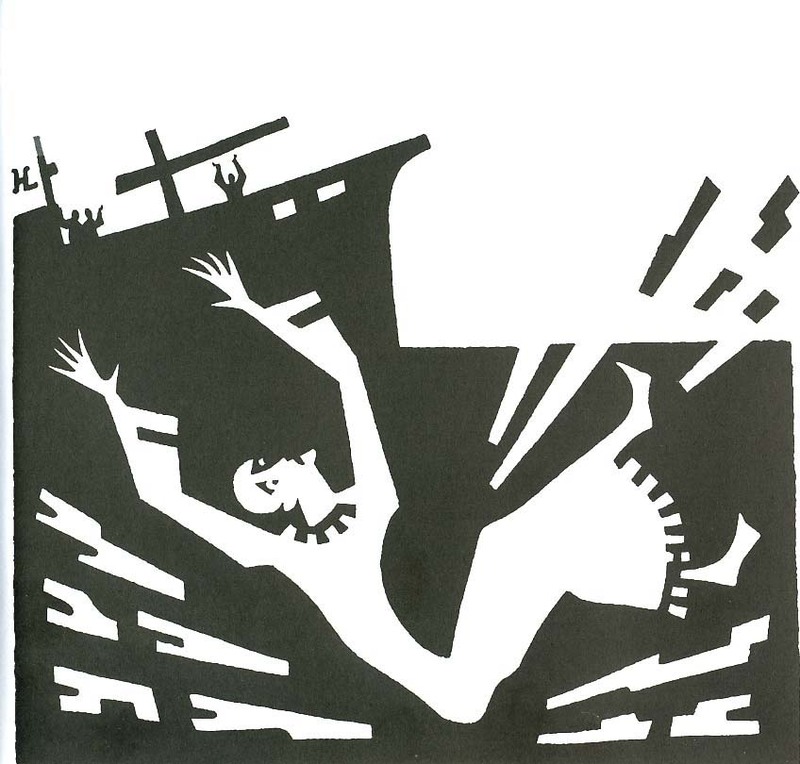 HERE is “Agnus Dei” by Samuel Barber and the Choir of New College, Oxford. In view of Jonah’s reluctant and begrudging obedience, I encourage you to take 8 minutes right now out of your day to contemplate with thanksgiving God’s great love and mercy for you, and to pray for the salvation of all the world. 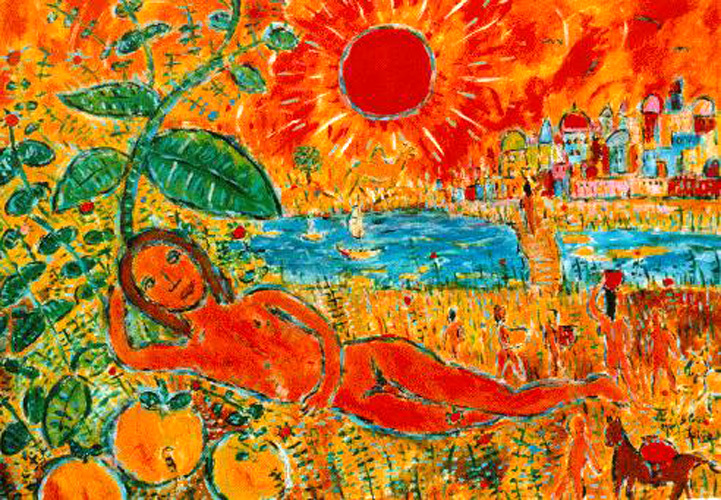 In the stomach of the fish — Henri Lindegaard, 2003. HERE is “Love Lifted Me.” Randy Travis and Mac Powell. Only 500 miles to the east of Jonah was Ninevah, the capital city of the Assyrian Empire. 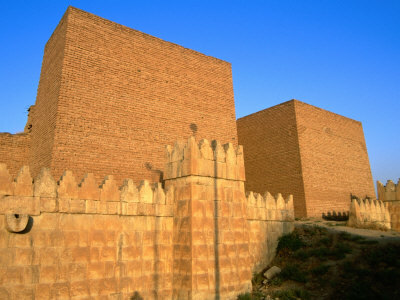 The gate above is a reconstruction of one of the 15 gates of the ancient city — now in Mosul, Iraq. I am not sure what condition this gate may be in at this time. 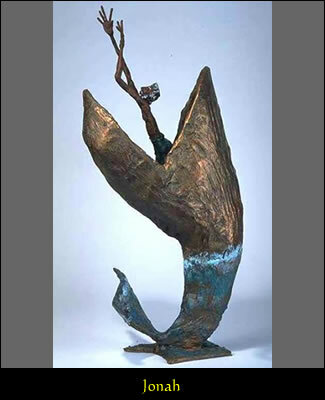 Jonah faces God's freedom -- Henri Lindegaard, 2003. “Wonderful, Merciful Savior” by Selah. This is one of those songs that always brings tears to my eyes — that the Lord would be so wonderful, and so merciful, to us! The Journey with Jonah is one of my favorite books! Written by Madeleine L’Engle (who won the Newberry Award in 1963 for A Wrinkle in Time — another one of my favorite books! 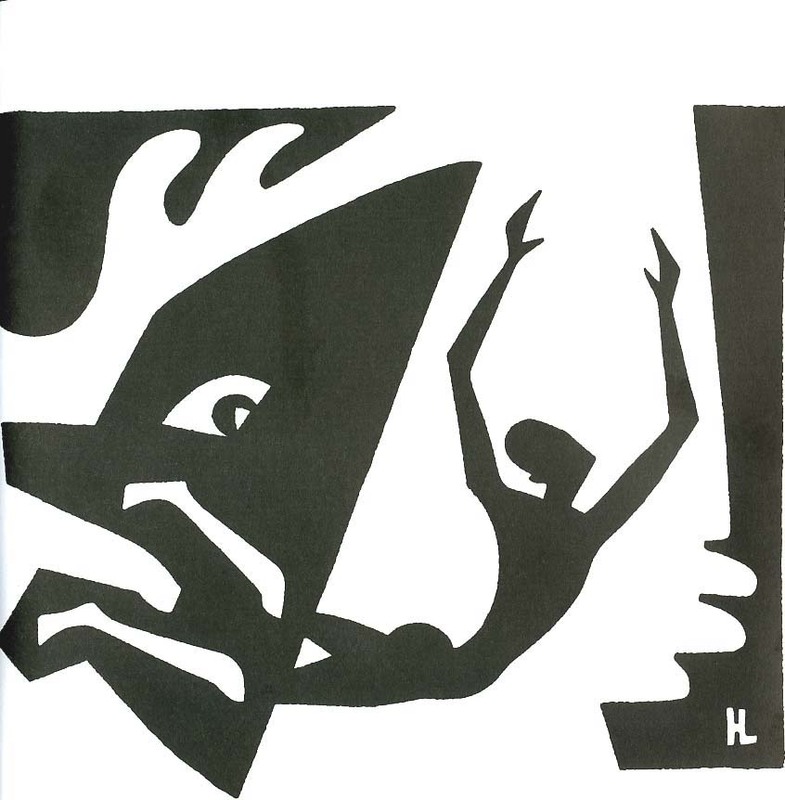 ), this delightful retelling of the Jonah story is actually a play. 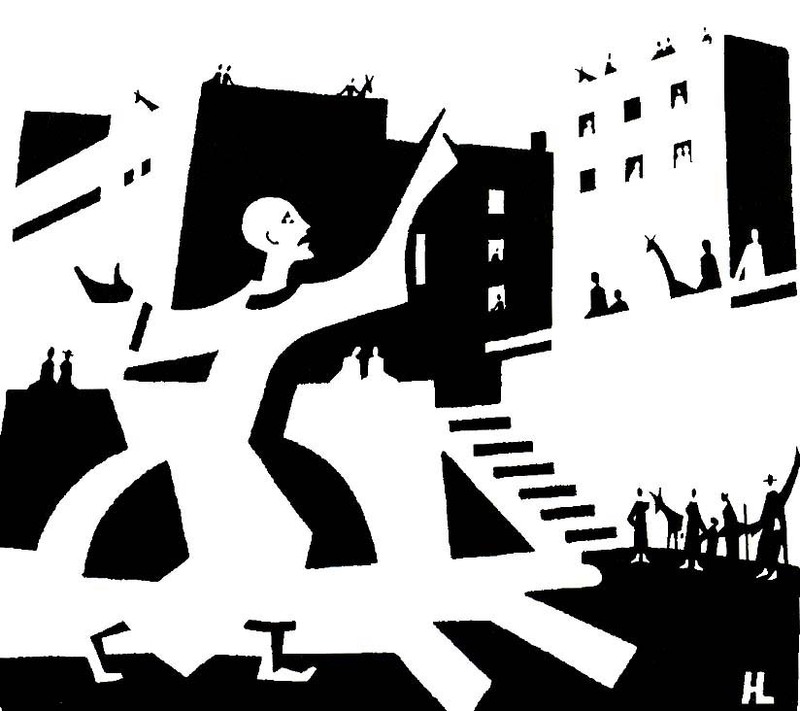 Jonah is the only human, and he is accompanied by many animals who engage the crabby prophet in conversation about his choices. L’Engle’s amusing characters and their insightful thoughts make this wonderful story of Jonah even more engaging! It is also a treat to actually produce! When I lived in South Korea I directed it for our congregation. Costumes were so much simple fun: The rat family came with little ears glued on headbands and long tails. The whale wore a gray Members Only leather jacket. The blue jay was loaded down with costume jewelry. You get the idea. So now — do yourself a favor and find the book for your own enjoyment!